We’ve already gotten Petit Chara figures for the Ayakashi Sisters and now we’re getting some for the rest of the Black Moon Clan. 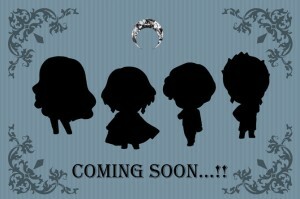 This photo, posted to the official Sailor Moon site, clearly shows silhouettes for Esmeraude, Prince Demande, Saphir and Rubeus. The image also includes the inverse crescent moon characteristic of the Black Moon Clan. There isn’t much in the way of detail posted but it is mentioned that this set follows the Ayakashi Sisters leaving little doubt as to what these are. These puzzles are about as difficult to solve as your average “Who’s that Pokémon?” bumper. Support the site by buying some of the previously released Petit Chara figures using the links below. 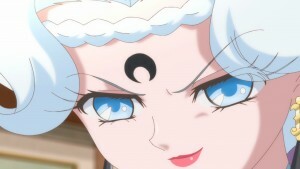 The latest episode of Sailor Moon Crystal is now available on Crunchyroll, Hulu and Niconico. Act 15, Infiltration – Sailor Mars, gives us a better look at the mysterious Chibiusa and then pits Koan of the Black Moon Clan’s Ayakashi Sisters against Sailor Mars. The first thing to note this week are the changes to the intro. 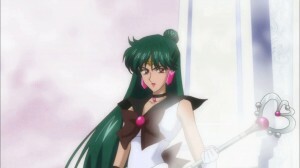 Despite a few minor cosmetic changes the scenes specific to the first story arc, that being Queen Serenity and the Dark Kingdom, have been replaced with images of the Black Moon Clan, Chibiusa and Sailor Pluto. This is actually a very short part of the intro, as most of it is fairly generic not having anything season specific. That said if you look closely at Sailor Moon’s brooch you will see that it is still the one she had in the first story arc. The Black Moon Clan are finally here! We get a good first look at pretty much all of the characters on their home planet of Nemesis (which Rubeus mistakenly refers to as a star, which may be a subtitle issue). We see Demande, Esmeraude, Saphir, Rubeus and Wise Man. 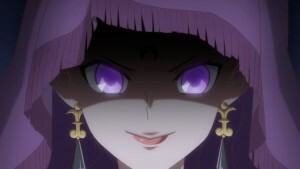 We also get a look at the Ayakashi Sisters though this episode heavily features Koan. 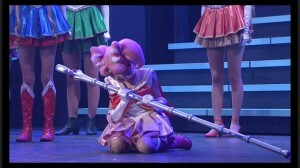 Chibiusa’s gun wasn’t real! It just had a flower in it. She decides to follow Usagi around, a good instinct as she has the Silver Crystal and is Sailor Moon, so she brainwashes the Tsukino family into thinking she belongs there. 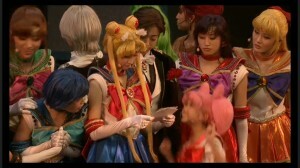 This causes Luna to hit Usagi and Mamoru in order to avoid them being brainwashed. 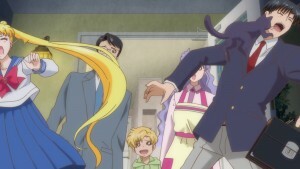 Nice to see Luna hitting Mamoru right in the face. It’s also nice to see Shingo again! He is dropped so quickly in the original anime that it’s good to see that he’s still around. 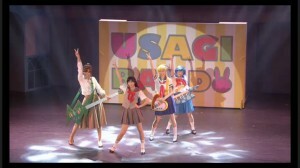 The girls receive new transformation items and communicators in this episode. 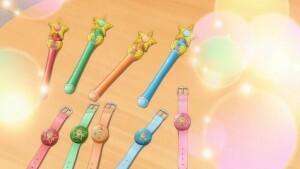 These transformation pens are called the Star Power Sticks and the girls mention that they feel more powerful after transforming with them, which explains Sailor Mars’s new power Burning Mandala and Sailor Mercury’s new power Shine Aqua Illusion. Arcades are so 1992! 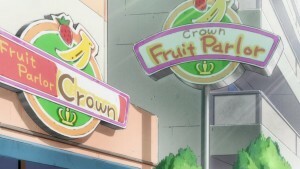 The Crown Arcade has been replaced with the Crown Fruit Parlor as the main hang out place of our characters. I’m not sure if this was meant to reflect the dwindling popularity of arcades when the manga was first published, the aging interests of the characters in the series or just a way to make it easier to tell the story. 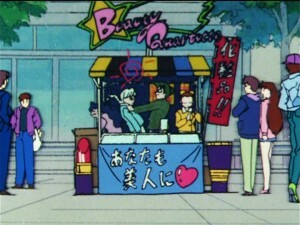 It’s easier to have exposition happen as the girls drink some juice rather than amongst noisy arcade games. A new character, Asanuma, is introduced at the Fruit Parlor. 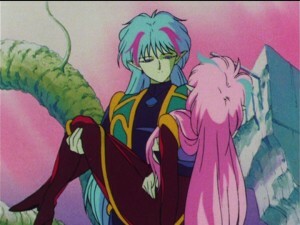 A scene from the manga has him commenting that he thinks that a beautiful girl like Rei is more fitting as a girlfriend to Mamoru than Usagi. Indeed, I support this manga shipping of Mamoru and Rei but unfortunately Sailor Moon Crystal chose not to include this. 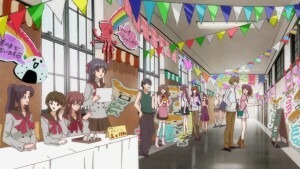 The main plot develops at Rei’s school, T. A. Academy. It’s an all girl’s school. All kinds of pseudoscience surround this episode’s plot as students investigate UFOs, spontaneous combustion and fortune telling! 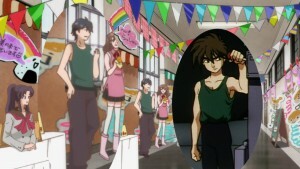 One character that is seen in the hall of T. A. Academy looks suspiciously like Heero Yuy from the 1995 anime series Gundam Wing. I find the other characters in this scene look a bit like they could be from other anime series, but no specific ones come to mind besides a girl showing a passing resemblance to Miki from Marmalade Boy. One student of T. A. Academy is the white haired Kotono Sarashina. She is investigating all these pseudoscientific things that in the context of this completely fictional story happen to be real. Her white hair is a bit odd to see. I suppose she’s simply meant to have very light blonde hair, but she looks a bit like a ghost or a really old person! 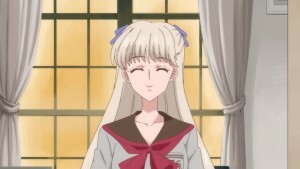 She is just one of the many characters who isn’t given any colour in the manga, so the artists behind Sailor Moon Crystal are free to give her any hair colour they chose. Rei is spending her time at the festival reading fortunes, which in the real world is nonsense but is a thing she can really do in the fictional world in which this story takes place. She has competition with Koan who is using her fortune telling powers to predict when people will die in the hopes that they will decide to join the Black Moon Clan with their remaining years. Not a terribly great plan. The other plan the Black Moon Clan has in this episode involves burning people alive! 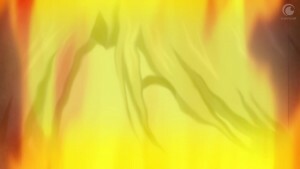 Originally in the Manga Rei has a vision of a young girl being burned alive by Koan. 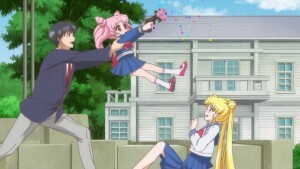 This is not quite as terrible in Sailor Moon Crystal as the young girl is replaced by an adult man. 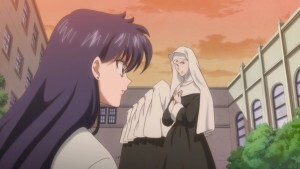 The Black Moon Clan has a number of drones who originally pose as nuns and then run around making sounds very similar to those made by the Snow Dancers in the Sailor Moon S movie. Once the combat starts, Koan and Sailor Mars face off. 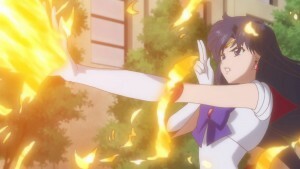 Sailor Mars gets frozen by Koan’s fire. Sailor Moon and Tuxedo Mask summon the new attack item the Cutie Moon Rod which uses Moon Princess Halation to kill Koan. A pity, really, that she has to die. Indeed, this is how it was originally written in the manga. 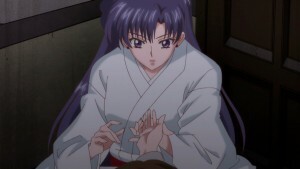 I always came to appreciate how the anime played out with Rei befriending Koan and sacrificing herself to protect her, ultimately making her abandon her evil ways to open up a makeup business which her sisters join her in. 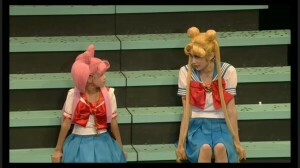 It shows a side of Sailor Moon that is more about forgiveness and friendship and less about power. Sailor Mars is kidnapped. That’s it. She’s gone for a bunch of episodes now. How terrible! 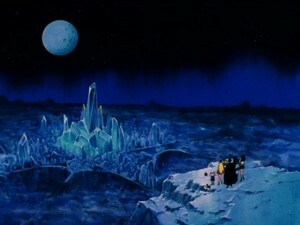 Next week is Act 16, Abduction – Sailor Mercury. This will be an Ami heavy episode as she faces off against Berthier. 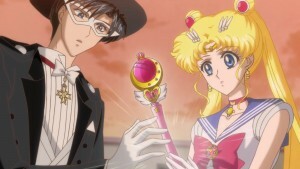 The episode will also feature puppet Tuxedo Mask! Keep reading for more screenshots from the updated intro, this episode and the next episode preview. 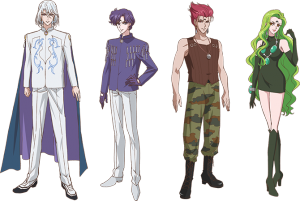 Character art featuring Prince Demande, Saphir, Rubeus and Esmeraude has been posted to the Sailor Moon Official Site. Not included are the Ayakashi sisters who will also be joining the show starting with the next episode. Prince Demande, Saphire, Rubeus and Esmeraude will first appear in Sailor Moon Crystal Act 15, Infiltration – Sailor Mars, which will be released on Saturday February 7th. 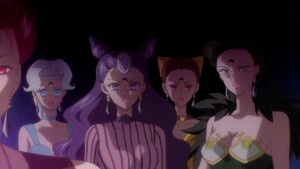 They are part of the Black Moon Clan who will be the main villains for most of phase two of Sailor Moon Crystal covering the story of Chibiusa and Crystal Tokyo. 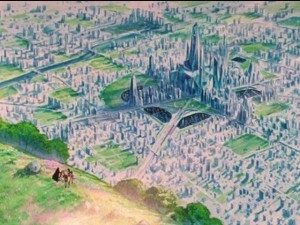 We previously saw a glimpse of Rubeus in one of Rei’s visions near the end of Act 14. A trailer for the second story arc of Sailor Moon Crystal, set to begin on January 17th, has been added to the official Sailor Moon web site. 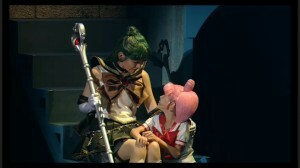 This trailer features scenes with Chibiusa and Sailor Pluto. Check it out below. This was shown at an event in Japan today where Misato Fukuen was revealed to be the voice of Chibiusa and Ai Maeda was revealed as the voice of Sailor Pluto. 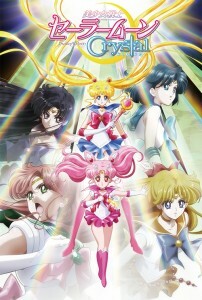 Clips in this trailer cover many events from the second story arc, which though technically part of Sailor Moon Crystal’s first year and therefore first season, is being referred to by many as the second season of the series. This second story arc is also being referred as the second phase. 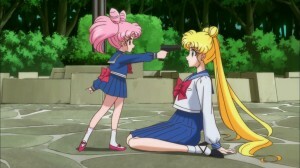 The main thing shown is Chibiusa, who appears from the future to threaten Usagi with a gun. More clips show her with Luna P and jump ahead quite a bit to show us the Space-Time Door, Sailor Pluto, Crystal Tokyo, Nemesis and the Evil Black Crystal. 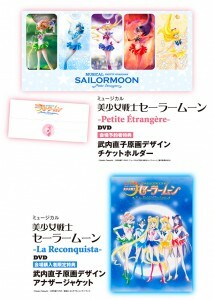 Also pictured are new transformation items for the Sailor Guardians including Sailor Moon’s Star Pendant. The note at the end of the trailer mentions the next episode showing on January 3rd though it does not seem likely that any of these clips will be appearing in act 13 which will be released on that date. 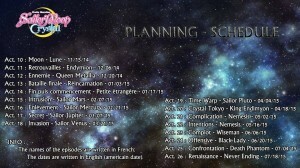 Chibiusa will be appearing in act 14, An Ending and Then a Beginning – Petite Étrangère, along with the Black Moon Clan who are not shown in this trailer. The banner in the image shown from today’s event mentions January 17th when act 14 will be available. This will mark the end of the Dark Kingdom arc and the beginning of the Black Moon arc. Keep reading for more screenshots from this trailer. This week’s new episodes of Sailor Moon R on Hulu and Neon Alley end one arc and start another. We see the last of Ail, An, the Makaiju and the Moonlight Knight in episode 59 and we see the introduction of Chibiusa and the Black Moon Clan in episode 60. As with every week these two new episodes are in Japanese with English subtitles by Viz. Episode 59, True Love Awakens: The Makai Tree’s Secret, wraps up the story of the Ail and An. The seemingly evil tree has trashed a building and is attacking everything. 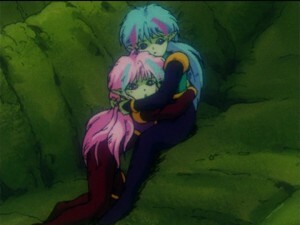 It kills An, causing her and Ail to realise how much they love each other, but is then cut short of killing Ail too when it hears Sailor Moon’s call to stop. The Makaiju communicates and tells us it’s origin story. Ail and An were part of a species of aliens born from the tree on a distant planet. They are seen coming from the same pod, which means they are not only siblings but in a way twins. What a scandalous Luke and Leia twincest affair they have! The aliens fought for the tree but it turned out it was love that nourished it! What a hilarious misunderstanding that resulted in many deaths and injuries. We then learn the true identity of the Moonlight Knight. 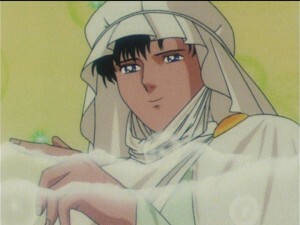 Who knew he was actually Mamoru? But wait… how are they always seen together? 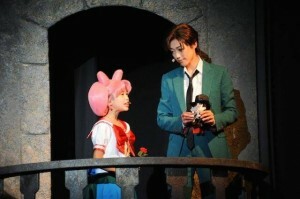 The Moonlight Knight is just a spirit born from Mamoru’s desire to protect Usagi despite his blocked memories. Sailor Moon heals the tree, leaving nothing but a little sprout. An is revived and her and Ail go off to live in the lonely depths of space. This concludes the Makaiju story arc. Fans have mixed feelings on these episodes but I always thought they were fantastic. Episode 60, Angel or Devil? the Mysterious Girl from the Sky, introduces us to Chibiusa! Usagi and Mamoru are very briefly happy in this episode as they share their first consensual kiss! The only time they actually kissed in the first season was when Mamoru took advantage of an unconscious Sailor Moon who was unable to consent. 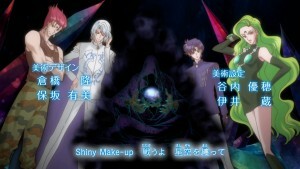 Once their past lives were revealed Tuxedo Mask was injured and wisked away to be made evil. Since Usagi didn’t kiss his dead body and didn’t get any action while his memories were blocked, this is the first kiss they actually exchange. 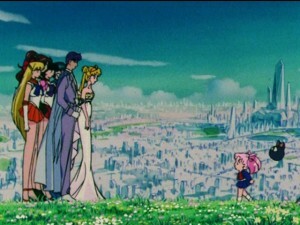 Not content to keep them together their happiness is soon thwarted by Chibiusa who literally falls from the sky kissing Mamoru. 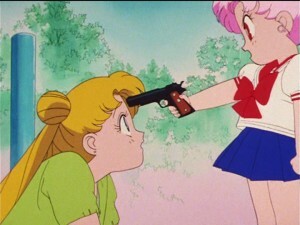 She then pulls a gun on Usagi in a hilarious scene. Chibiusa proceeds to brainwash everyone into thinking she’s Usagi’s cousin after which Usagi gets her revenge by spanking her. So what is this girl’s secret? Surely by now most people know the full story but unlike the secret identity of Princess Serenity or The Moonlight Knight, this one isn’t terribly obvious from the beginning. The Black Moon Clan also show up this week but they aren’t interesting for another few episodes. Support the site by buying these episodes of Amazon Instant or getting the DVD or Blu-Ray released through the links below. 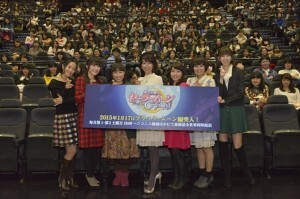 A new Sailor Moon musical has been announced on the Sailor Moon official site. Not many details have been given but we do know that this musical will follow the Black Moon story arc of the Sailor Moon manga or the Sailor Moon R season of the anime which takes place in 30th century Crystal Tokyo following the battle with the Black Moon Clan. 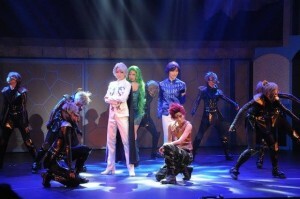 Though Chibiusa is not mentioned by name it stands to reason that this musical will feature her introduction as well as her transformation into Black Lady. No details about the cast have been revealed but the announcement mentions that this will be announced on the site in the near future. 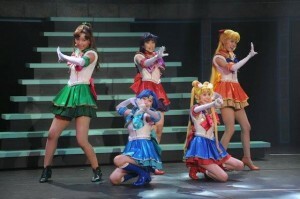 This will be the second modern Sailor Moon musical following Sailor Moon La Reconquista which played last September. Note: This article previously mentioned the musical would take place in September. As of now the only information we have about the date is that it will be this summer.